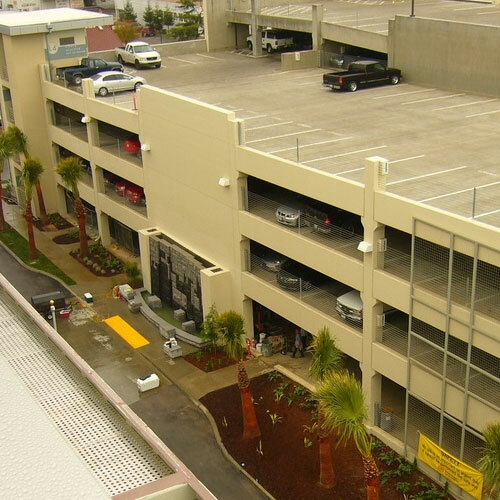 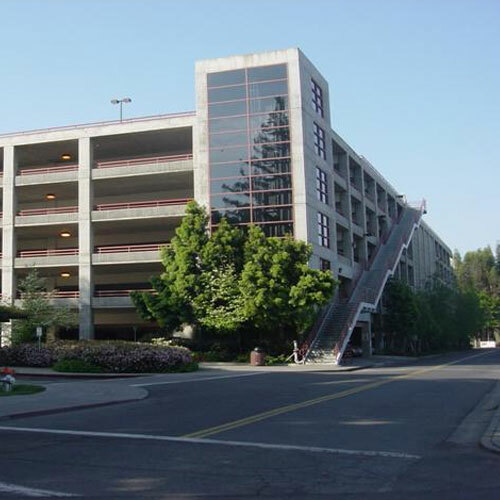 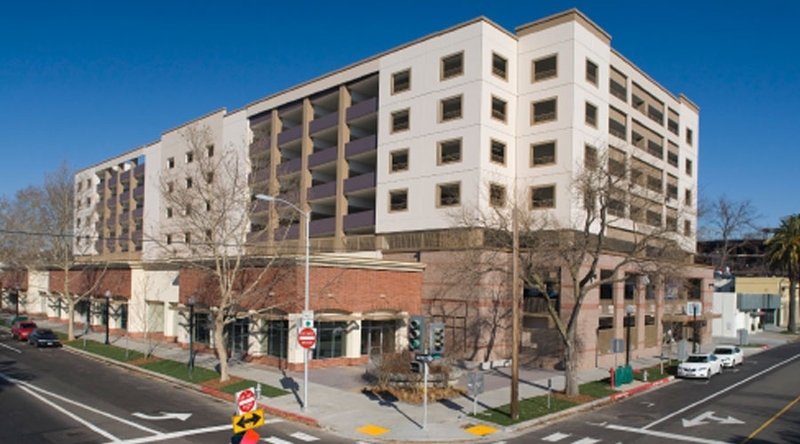 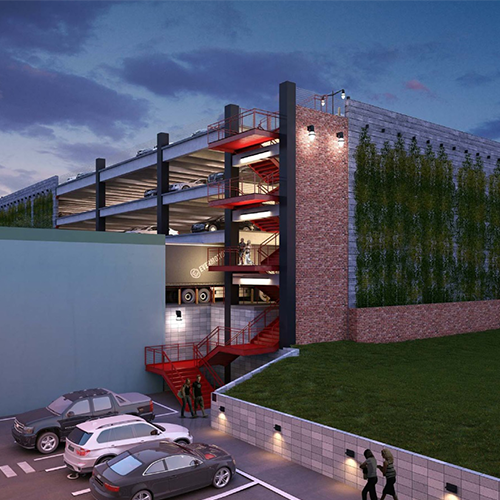 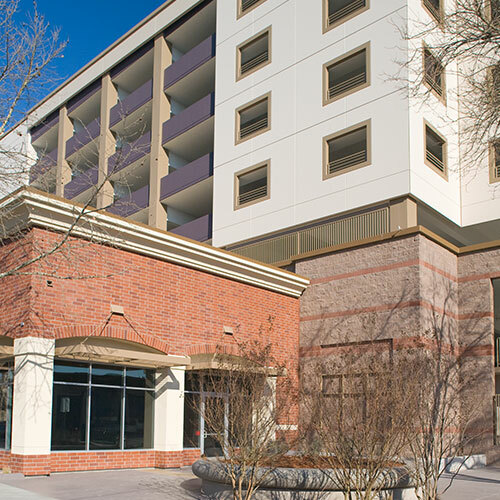 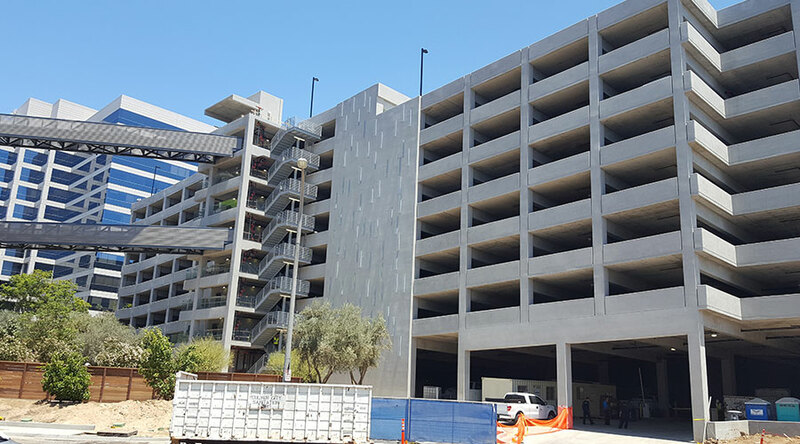 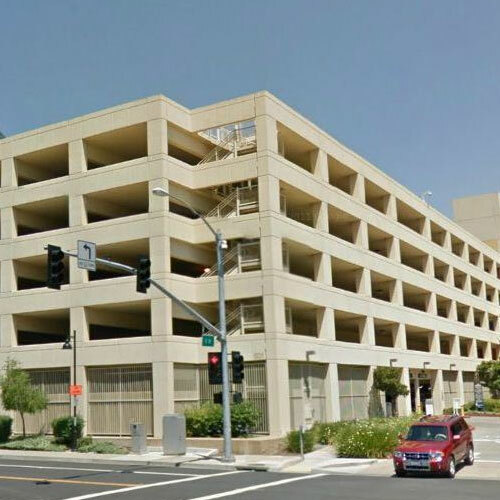 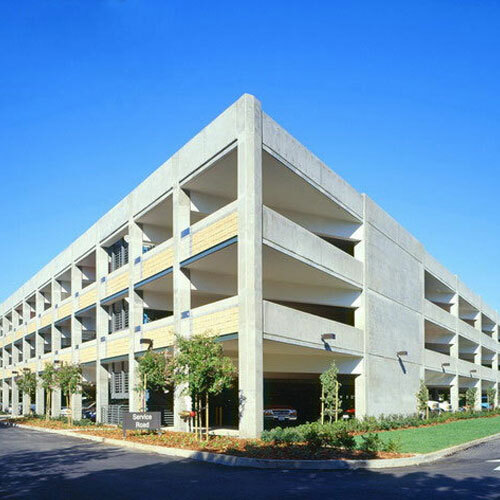 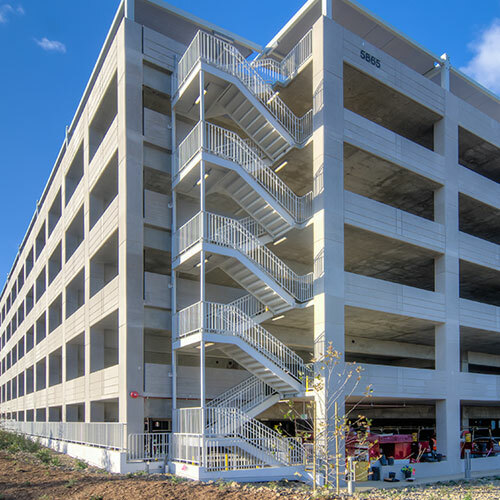 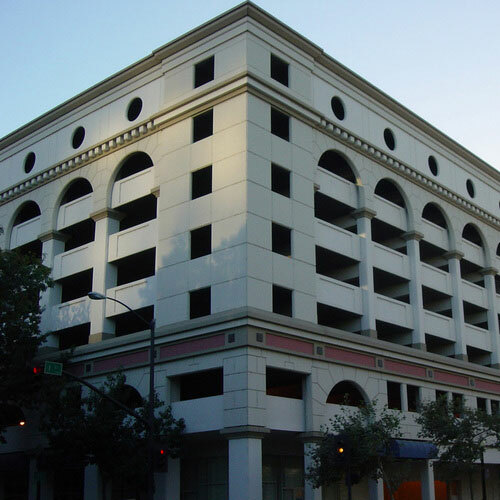 This eight-story, 334,000 SF parking structure provides an additional 1,107 public parking spaces to midtown Sacramento’s business community. 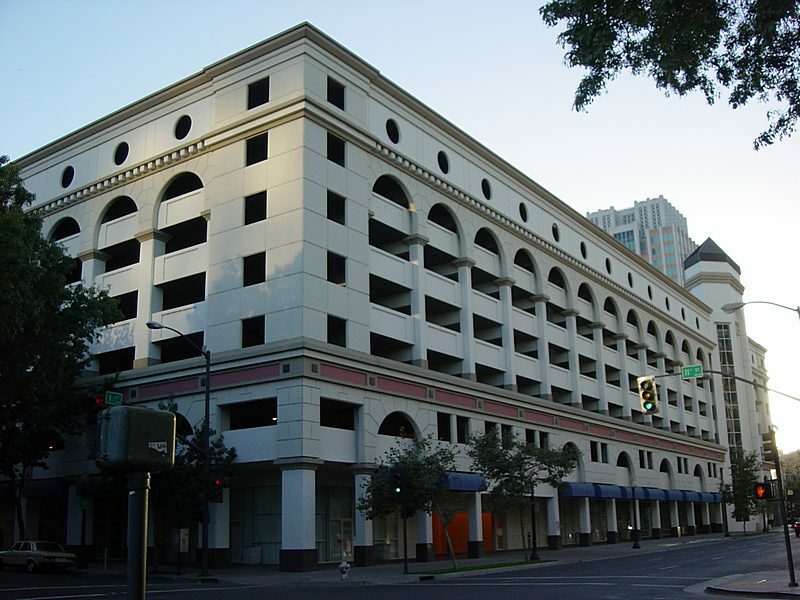 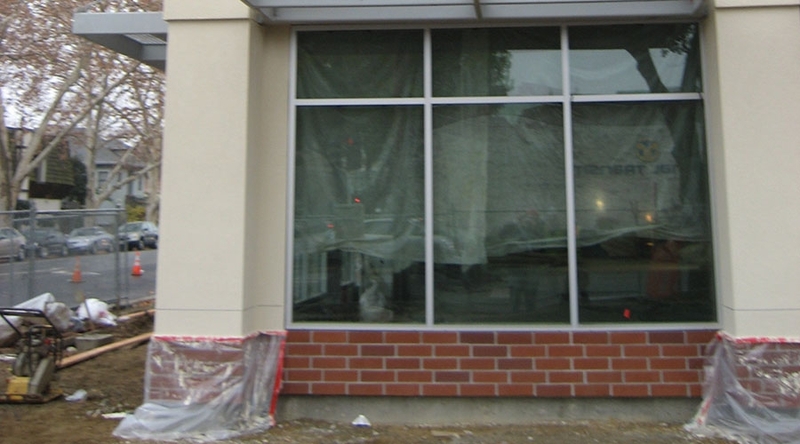 In addition, retail spaces were designed on the south side of the structure. 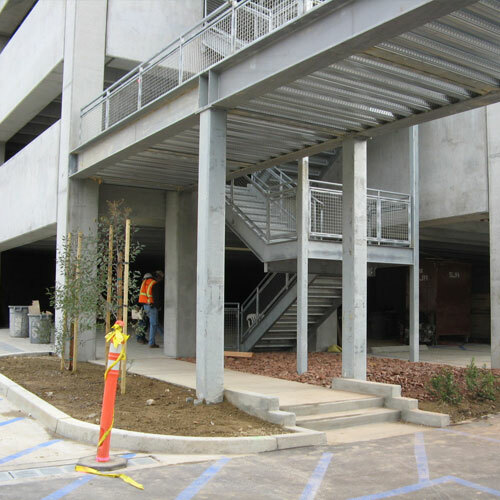 The project’s structural design was complicated by less than optimal soil conditions that required utilization of a mat foundation to successfully complete the project. 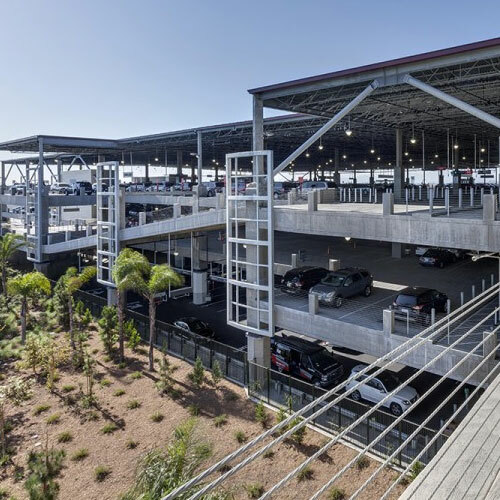 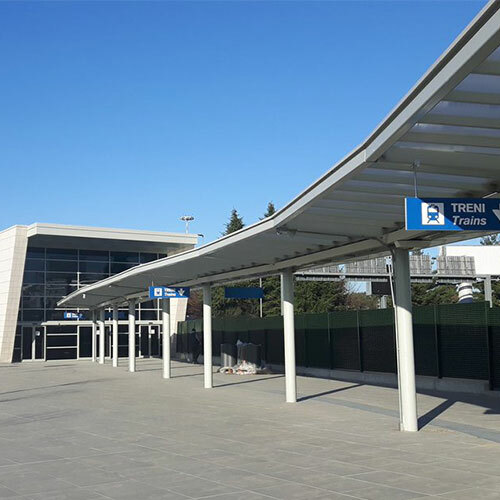 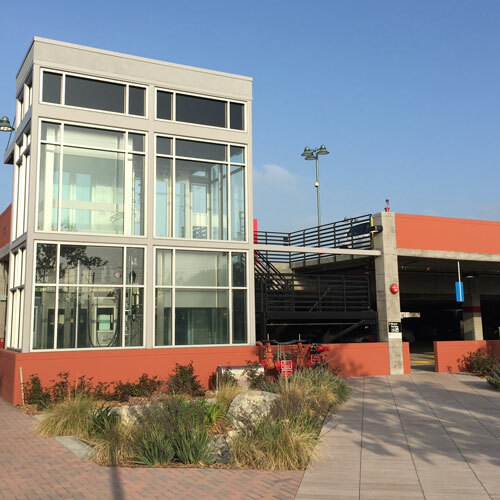 The structural system utilized long span post-tensioned beams and one-way post-tensioned concrete slabs and ductile moment frame lateral load resisting elements in both directions.